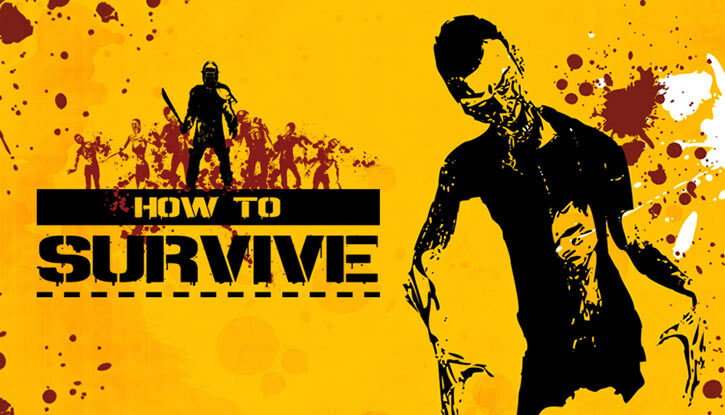 How to survive is a 2013 survival horror video game, released for PC and various consoles. This page is a strategy guide for people new to the game. As to writeups.org, it is an online encyclopaedia about fictional characters, monsters and the like. If you’ve come here specifically for this article, you should also have a glance at the rest of the site. It’s so cool it could just raise the dead. 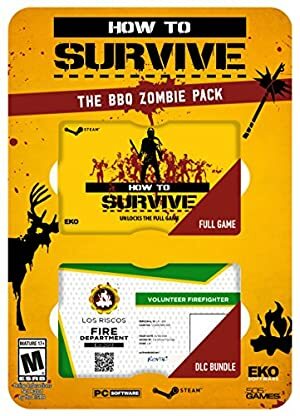 This guide is about the original, 2013 How to Survive game rather than H2S2. It is also about the original, isometric release of the game rather than the third-person view stand-alone variant. And it assumes the normal game mode and difficulty. Since it’s a guide for beginners. In normal difficulty, the first H2S isn’t particularly difficult. But that doesn’t mean that advice is useless. The first is for a bow, of course. The next 3 will be for monkey bags – two for you, and one for the monkey near Ramon on the starter island (he’ll give you a flared tube). Then the fifth will be for a fishing rod – for the fish ‘n’ chips monkey quest or just for food. Later on you can uncombine that and reuse the reel (if you haven’t found more) and a redstone for a monkey quest on the DLC islands. Even with the monkey bags you’ll eventually run out of space, unless you have a very firm idea about what you’ll collect. It’s best to select a “dumping ground” (for instance on the starter island near Ramon) where you leave the “just in case” stuff in well-organized piles. Most zombies can be calmly headshotted from max distance, which brings a valuable +50% exp bonus. This is especially true of exploding obese zombies (the blast will damage nearby zombies, by the way). When rushed, you can backpedal and do a headshot or two but switching to melee is then safer. Finisher melee moves make you invulnerable as they last and have a small area of effect. Noisy weapons attract zombies. Which is a reason why the bow is an excellent weapon – it’s quiet. Unless you fire explosive arrows of course, in which case you can expect company soon. Once you have a bow, feathered arrows are as simple as sniping seagulls on the starter island’s beaches. The simplest approach is to make a stack of 100 feathered arrows and never worry about them again (though you’ll lose some over time to bad shots). This also means you won’t have to pick sticks or feathers “just in case”, freeing inventory space. The starter island has a deer. You’ll have to headshot it at least twice and keep stalking it – when wounded it flees to its next location, doing a counter-clockwise circle across the island. Killing it twice (or even thrice) while you’re on the starter island is a good strategy. Kovac’s island has a tapir, but I don’t think you can always stalk it – it’s best to kill it before it flees. There’s a small chance a head will drop (craftable into a tough helmet). You’ll need fresh meat (don’t cook it if you can help it). There’s a truck tyre in Kovac’s “base” on his island. Between that and leather strap from a skin, you have legs armour already. The fresh meat is chiefly necessary on the largest island, Santa Barbera. The northern part is a swamp patrolled by piranhas, and you’ll need to throw about 2 pieces of meat to distract them whenever you cross it. If you hear “hi hi hi” monkey sounds and see nothing do not worry. The sound events in the game are tied to a location, even if the character making them isn’t there… or has yet to appear. The monkeys making those sounds are unlocked by Kovac mentioning them on his island. This “ghost sounds” effect will keep occurring with all sorts of dialogue. The barricades and the extra-strong doors can only be cleared with explosives. These come relatively late in the game, as part of the quest/plotline. When hunting, progress slowly. Animals (especially deers) have much better senses than zombies and you can’t easily close in. It’s often either a max range shot or no shot at all because it ran. Fast, simple, easy. Choose none. Plants regrow fairly quickly. This applies to the small area on Kovac’s island with roots. If you harvest this area at every opportunity while you’re there, you’ll have a good stock of food. Simply roaming will then take care of your food and water needs, especially if you cook a white plant from time to time (these also heals you a bit). This stops being true on the DLC islands. Night zombies aren’t that dangerous, but they are a nuisance and earn a flat 10xp without any applicable bonus. It is thus best to soldier through a day with your sleep bar at zero so you can sleep at night and adventure by day. Once your sleep needs are synchronized with the day/night cycle things are simpler. Just anticipate that you may have to clear a path to your bed and that it’ll take time. The high-powered zombie bosses can charge. It is best to engage them by running around a small structure you can shoot over, such as a well or campfire. It will protect you from attacks while you take your potshots. That only works against the first zombie boss on the starter island, though. You board a vehicle to another island. You get rewarded for a quest. You press the save button in a safe house. This is made even worse because the game still has CTD bugs. Bad combo, that. This pistol you build on Kovac’s island is not as useful as careful use of the bow, but it’s a good way to store parts in a single inventory slot. You can then deconstruct it and use the parts to build a better gun once you have a diving tank and/or a better tube. It is useful to shoot zombie crabs though. Just keep manually reloading between engagements. Recovering *all* your arrows isn’t necessary. You’ll keep running across wooden sticks. If you kill a seagull from time to time to get feathers, replenishing your stock of feathered arrows is trivial and less aggravating than looking for every expanded arrow. While the boomerang is powerful and requires no ammunition, it doesn’t produce an “aiming line” to walk your aim over to a target. So that’s a downside for people who aren’t used to twin-stick shooters. Having 2-3 boomerangs is also best not to be disarmed when the first boomerang is still travelling. Empty bottles to make molotovs and, later on, explosives are your friends. Collect them all. The hordes late in the game can be really large and explosives become a big asset if you do not have a flamethrower. Empty bottles are frequently found on the beach, near or in the water. The fuel tanks (usually found near sleeping huts) can run dry. It’ll take a while, but it’s feasible. So keep that in mind if you play Nina – or another character that goes through a lot of fuel. On Normal difficulty, the flaming arrows are of meagre benefit, except against a boss zombie. And they take an extra inventory slot, which is a problem. Aside from bosses, the toughest fights come when you break into a safe house. Clear a large perimeter around it, open the door, hit the zombies within a few times, then dash away through incoming zombies to a predetermined point. The idea is that now the zombies will all come from one direction in a semi-staggered order. Running far enough will also suspend some of the spawning until you come back. When chased by such a horde it’s best to have a suitable weapon — flamethrower, machinegun, AoE electric gun, bow with stabilizer and pulleys… If you don’t have one carefully clear a path before opening the door to conduct a fighting retreat over a long, pre-determined distance. You’ll find enough red stone to enhance your most-used weapons, as long as you do the monkey quests… and you don’t have a pile of boomerangs (each red stone only enhances one boomerang). Note that a quest requires red-stoning a reel to make a Tesla coil, so keep one. Come with lots of food and fill bottles of water. There’s very little on the islands, even with the monkey quests. The electric zombies are practically proofed against projectiles, unless these are fired point blank. They’ll also shock you if you hit them in melee. An active electric zombie will revive nearby electric zombies, as will other sources of lightning. So engage them away from pylons, and aim to kill them all more or less at once when fighting several. The volcanologists are tough. The most economical way to kill them is a critical hit from the back, or sustained electrical bombardment from the front. This will make their dorsal tank rupture. Run away from the volcanologist until said tank explodes, hopefully taking out more foes. If there’s a single volcanologist and you wish to save your electrical ammunition, repeated critical hits from the front will eventually kill one (and make it explode with little warning so keep away). There will be volcanologists among the horde when opening a safe house ! Make sure you have a charged electrical rifle. The access to the last area of the second DLC island can be hard to spot. It’s behind a row of hackable brush, facing one of the “islands” in lava. Armour (jackets and helmets). You just need one (and maybe another for the electric jacket, but they’re trivial to get). Big Fork. 1 for the bow stabilizer, 1 for the electrogun, perhaps 1 for the electric jacket. Bone. At most 9 for a trio of triple-blade boomerangs. Carbon-made mudguard. 1 for a good bow. Diving tank. 1 for a rapid-fire gun, and (if Nina) 1 for a flamethrower. Feathers. Just keep a stack going unless you don’t use a bow. You’ll also need one feather for a quest, but there’ll be emus nearby. Flared tube. 1 for the blower gun, and perhaps 1 for a shotgun and 1 for a flamethrower (if Nina). Flexible branch. 1 for a starter bow, 1 for a fishing rod. Flint. 3 for a set of boomerangs, 1 for an axe. Fresh meat. Keep a stack at all times, it’s safer. Hardware box. Keeping a stack might be the simplest. Harpoon grips. Used in chainsaws, guns, electrogun, blower gun – plus perhaps crossbow and flamethrower. So that’s 4 assuming 1 weapon in each category, plus perhaps special weapons and/or a precision rifle. Iron grid or hazmat mask. 1 for your helm. Iron sheets. 4 (helm, jacket, arms, legs). Iron stick. 1 for an axe, 1 for a bow stabilizer. Jerrycan. 2 for the blower gun, 1 or 2 for a chainsaw (if you want one). For Nina, 2 more for the flamethrower. Long tube. 1 for a high-end gun, or 2 of you want both a rifle and a machinegun. Manual compressor. 1 for a starter gun and/or the rifle, but you’ll need to use one for a quest too (or just to make green beef soda outside of the quest). Motorbike motor. 1 for the blower gun, maybe 1 for a chainsaw. Pulley. 1 for the bow. Short tube. 1 for an early gun. A quest also requires one. Tesla coil. 1 for the electrogun, perhaps 1 for the jacket. Truck tyres. 2 for the basic arm and leg protections. Wooden stick. 1 for an axe, then what you need on the fly to replenish arrows. Keep all healing plants, fabric, empty bottles, plants you will use in potions/drinks (remember that white plants can be cooked). Make sure you don’t have too many stacks of ammunition or junk you picked up by mistake. Ordering your inventory so the basics are at the top makes it easier to check whether you have mistakenly picked up some crap.